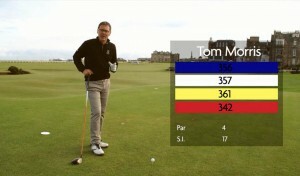 Despite the fact his close friend had been in Space for almost 6 months Chris was adamant the only topic of conversation would be his round on the Old Course. As the first year of service at the Old Pavilion draws to a close we have been reflecting on the thousands of fascinating folks who have walked through the door. Many have come from far afield to play the Links but perhaps none have travelled quite as far as Chris Condon, from Georgia, USA, who may well be our farthest travelled guest ever! 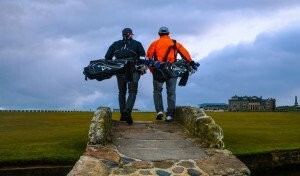 Myself (Keith McColl) and Charlotte Ford were on duty last month when Chris walked in having made his long awaited pilgrimage from Houston to St Andrews to play the Old Course. Doesn’t sound so far flung I hear you say?, however Chris has clocked up most of his air miles as a NASA Test Pilot visiting places that we can only dream about! Golf fanatic Chris got lucky as he was chosen by NASA to pilot the transport aircraft sent from Houston to Kazakhstan (via Prestwick airport where he had a 1 day stopover) to pick up his best friend and fellow Spaceman Reid Wiseman, who was returning to Earth from the International Space Station on Sunday after almost 6 months living in a rather cramped Spacecraft. Excitement was definitely building as Chris approached Leuchars Train Station having departed Edinburgh early in the morning to try and get a slot on the casuals list. Preparing himself and gathering his clubs he stood by the exit alone as the platform appeared before him and the train slowly drew to a halt, as he waited to disembark the doors would not open in front of him and the train slowly departed Leuchars with Chris and his clubs still aboard while his Old Course dream seemed to have been derailed. Fortunately, the next stop was Dundee and he was soon back on his way to Leuchars Station this time without incident. A short taxi ride later and he arrived at the Old Pavilion to tell us his story and hope that he could finally take to the famous fairways. Charlotte and I were desperate to get him a game and after a bit of a wait and a couple of unsuccessful attempts to join him up with existing games Old Course Starter Steve Mallon did a great job and got us agreement for Chris to join a 3 ball game at 10.30. To hear those words uttered by someone who has enjoyed some out of this world experiences, literally, just serves to remind us just how lucky we are to work on the Old Course. After his round Chris headed for the Links Clubhouse with his 3 new friends for a beer or two before heading back to Prestwick and then on to Kazakhstan to pick up Reid. 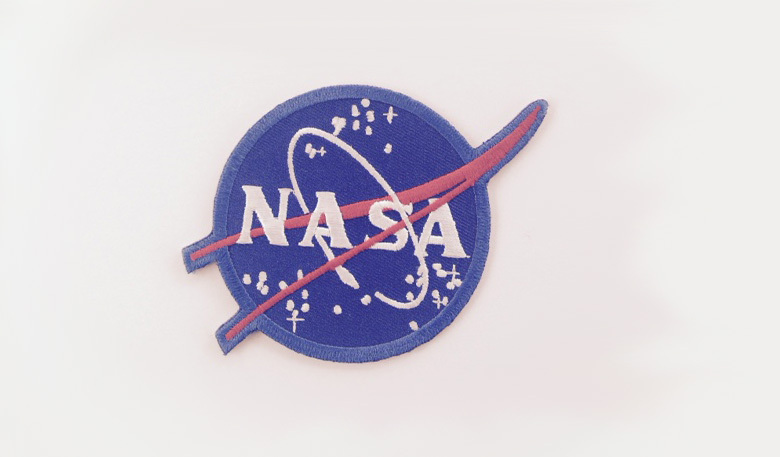 Header image: NASA patch that Chris Gordon kindly gifted to the Links after he enjoyed his experience on the Old Course.